‘The Almond Tree’ offers much optimism in spite of the violence, mayhem and melee and speaks to each of its readers through its lucid narrative and easy to follow plot and storyline, says Monica Arora in this review for Kitaab. 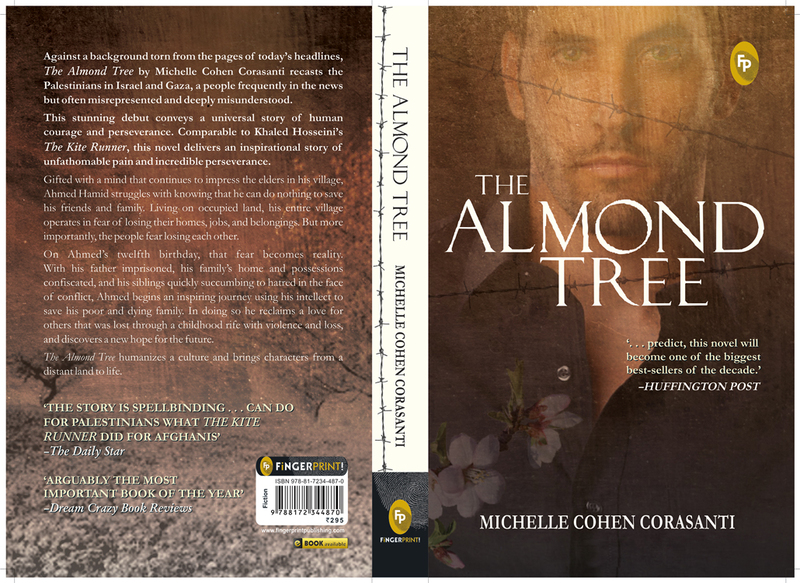 The bewitching debut novel ‘The Almond Tree’ of the Jewish American author Michelle Cohen Corasanti, a Jewish American is a busy story. Buzzing as it is with its dozen odd characters, mostly members of Ahmed’s family, his friends and mentors, who is the narrator of this saga, this is a heart wrenching account of misery, resilience, hope and the indefatigable human spirit and family bonding. Right from the first chapter when an innocent young child loses her life to the cruelty of landmines in terror stricken Israel, the reader gets a taste of the intensity and grimness of this sordid account woven around the intricacies of the decades-old Israel-Palestine conflict.